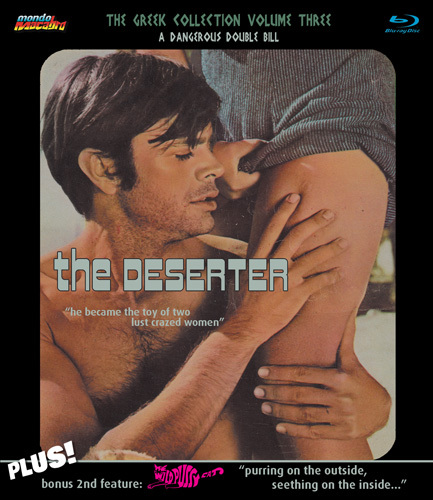 Following on from our highly successful Greek collection entries Tango of Perversion and The Wife Killer, Mondo Maxillary is proud to present two world video premiers on one super exciting Blu-ray disc. 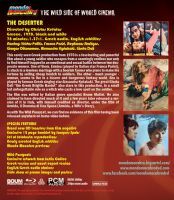 Restored from original 35mm materials and entirely uncut these films are sure to excite the interest of all fans of extreme and "out there" cinema. Both feature the talents of Gisela Dali - the "Greek Bardot" and both are highly collectable. In spite of its lurid subject matter and explicit visuals, The Wild Pussycat was not a low budget quickie with a cast of unknowns and a first time film maker. 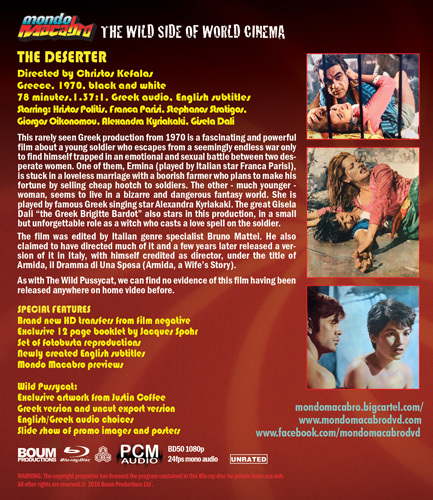 It was directed by Dimi Dadiras, one of the most successful director/producers of the period, and it features one of the big stars of Greek cinema – Gisela Dali, known in her day as "the Greek Bardot". 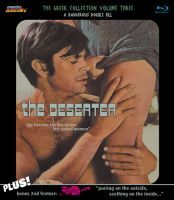 This rarely seen Greek production from 1970 is a fascinating and powerful film about a young soldier who escapes from a seemingly endless war only to find himself trapped in an emotional and sexual battle between two desperate women. One of them, Ermina (played by Italian star Franca Parisi), is stuck in a loveless marriage with a boorish farmer who plans to make his fortune by selling cheap hootch to soldiers. The other - much younger - woman, seems to live in a bizarre and dangerous fantasy world. She is played by famous Greek singing star Alexandra Kyriakaki. The great Gisela Dali "the Greek Brigitte Bardot" also stars in this production, in a small but unforgettable role as a witch who casts a love spell on the soldier. Kostas Prekas, Gisela Dali, Maria Foka, Kaiti Ibrohori, Dimitris Kleris, Vagelis Traiforos, Tasos Ramsis, Marianna Tsiouma. Hristos Politis, Franca Parisi, Stephanos Stratigos, Giorgos Oikonomou, Alexandra Kyriakaki, Gisela Dali.